Peggy Pennington is a Tennessee Walking Horse breeder based in central Kentucky in Crab Orchard. 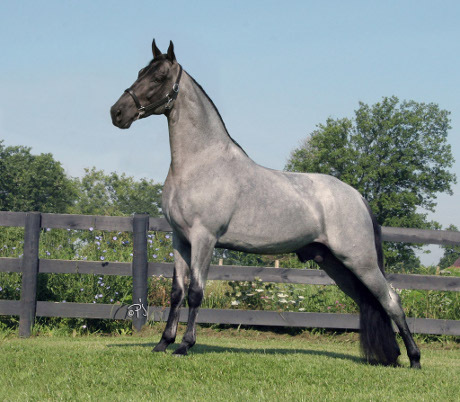 Her blue roan stallion, Generator’s DR Blue, is certified homozygous roan. Her horses hold a special place for her, she says. 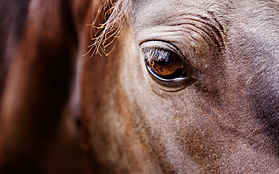 She gives them much love and attention and strives to produce horses with good dispositions. “I love the breed, but I do not ride or own any horse that has been padded. I have bought horses that were padded at one time, and they did not have any gait problems, or deformities, from having had them,” she commented. She sent the following to the Mid-South Horse Review to shed some positive light on the walking horse world. “From the time when I was ten years old and was boosted up to sit on my Uncle James’ 16 hand walking horse, my fate was sealed. When he handed me the reins with the instructions to take her to the fence and return to the barn, it was effortless. She glided along, following the slightest hand command and returned me to my uncle. Since that time I have owned and loved many walking horses. It is their willingness and beauty, the flowing gait, the intelligence that persuaded me to become a breeder. It is not love of money or thoughts of fame. It is how they interact with me. It is the blessing of seeing a mare nurture an inquisitive colt into a proud weanling that makes my heart flutter. I so love seeing these colts grow into the dream horse that the buyer takes home and loves, the blessings that are returned to them. 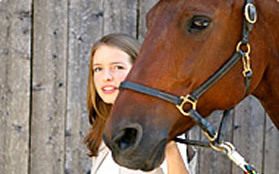 Shown in a video on her website, Blue is being ridden by Nicole Carswell. Peggy explained that Blue had not been ridden for four years, but people kept asking for videos of his movement under saddle. So Nicole rode him for a month to get him back in shape, then the video was made showing how he naturally goes. “He has filled my desire to have a champion. Not by trying for a wall of ribbons, but by helping me conqueror the trails and now in the production of little blues - blue roans and red roans, i.e., colts and fillies that help others with their dream of owning a champion. 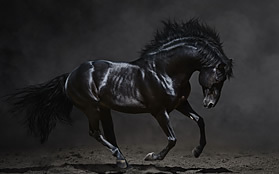 “If I’m like most walking horse owners, it is not the show ring that makes the horse special. It is the intense satisfaction of having a horse almost talk to you. The reward is having a huge companion that can carry you for miles, or just delight your heart by doing a trick to get your attention. Generator’s DR Blue stands at Spencer Benedict Stables in Glasgow, KY. For more information about Blue, visit http://www.mywalkinghorse.com/.